Samsung has launched a couple of new tablets in the lead-up to next week’s Galaxy Unpacked event where the company is expected to launch the Galaxy Note 9 Handset. While the Galaxy Tab S4 is a premium tablet that is expected to compete with the Apple iPad, the Galaxy Tab A 10.5″ (2018) is an affordable device that’s expected to be the company’s offering in the budget segment. The Galaxy Tab S4 is a premium Android-based tablet that comes with Samsung famed stylus, the S-Pen. The device features a 10.5-inch Super AMOLED display (2560×1600) with 16:10 screen ratio, and sports thin bezels. It is powered by Qualcomm’s Snapdragon 835 SoC, and packs 4GB of RAM along with either 64GB or 256GB of internal storage depending on the model. The storage is expandable by up to 400 GB using a microSD card. The device carries a 7,300mAh battery, and runs on Android 8.1 Oreo. It’s also got 13MP cameras on both the front and back. There’s a USB-C port, 3.5mm audio port and a pin-connector for the keyboard. According to The Verge, the 64GB variant will be priced at $650, while the 256GB model will retail for $750. The report further says that the device will come with Samsung’s DeX, which is built directly into the tablet’s software that can be used with any standard Bluetooth keyboard and mouse. The device, like most tablets, will be available in Wi-Fi-only and LTE models. 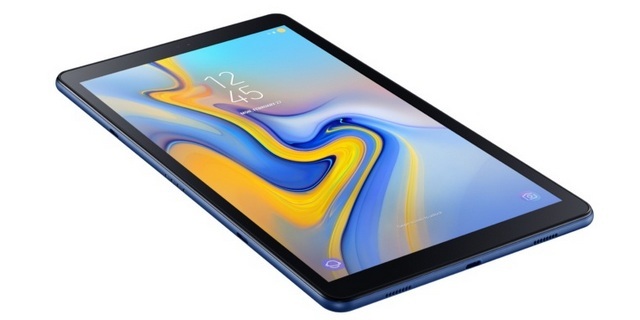 Alongside the high-end Tab S4, Samsung also announced the latest iteration of its budget Galaxy Tab A device that the company says will offer ‘high-quality entertainment features’ at ‘a budget-friendly price’. 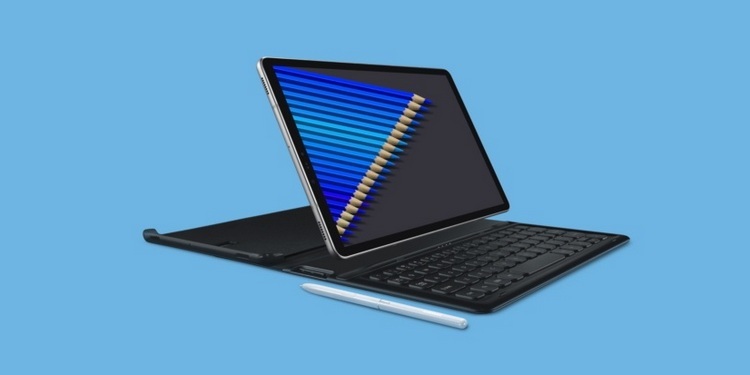 The device comes with the same 10.5-inch screen-size as its more premium stablemate, but one that sports a 1920×1200 display instead of the QHD one found on the Tab S4. The Tab A (2018) is powered by a Qualcomm Snapdragon 450 processor, and it comes with 3GB of RAM alongside 32GB of (expandable) storage. Thankfully, though, the device carries the same 7,300mAh battery as the Tab S4, and runs Android 8.1 Oreo out-of-the-box. 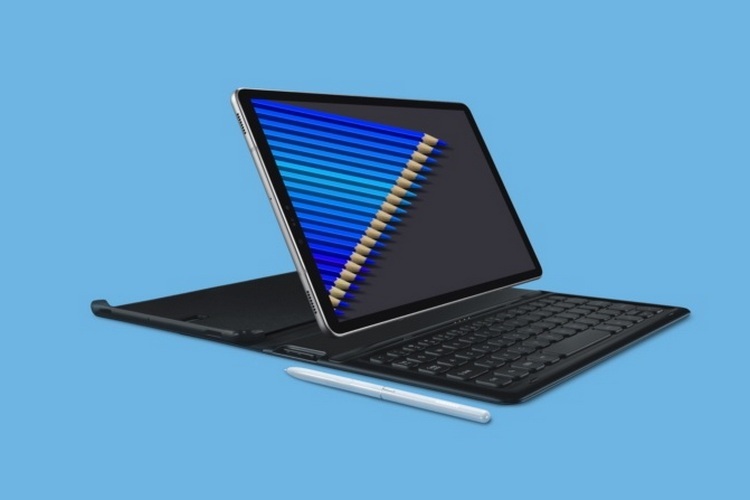 The tablet, however, doesn’t offer any of the extras that can be found on the Tab S4, including the S Pen, Iris Scanner or Samsung DeX support. Cameras include an 8MP sensor on the back and a 5MP sensor on the front for selfies and video chats. The device will also be offered with LTE connectivity alongside the Wi-Fi-only variants that are expected to be priced relatively lower. The device has been priced at 330 euros for the Wi-Fi-only version and 390 euros for the LTE version in Europe, but prices in the rest of the world are yet to be revealed.